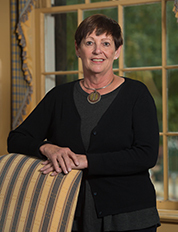 Sue Keiser came to work at the university in the spring of 1998. She has served in a variety of capacities in the Office of the Chancellor for former chancellors Robert Khayat, Dan Jones, and Jeffrey Vitter, and interim chancellors Morris Stocks and Larry Sparks. Keiser came to the university from Greenville as a nontraditional student in the late 1970s, and earned a B.A. in English in 1983. She is responsible for responding to a variety of questions and concerns from the Mississippi Institutions of Higher Learning board members, alumni, students and other members of the university community. She acts as a liaison between the office of the chancellor and vice chancellors and other senior leaders, together with many other departments and constituents on the Oxford campus. She also oversees the chancellor’s office, its staff and she serves as a chancellor’s office representative on many university committees. Keiser is married to Dr. Edmund Keiser, professor emeritus and chair emeritus of the university’s Department of Biology. She has four adult children, Mark, Skip, Julie and Jen, and six grandchildren.